War in the Tribal Zone, the 1991 anthropology of war classic, is back in print with a new Preface by the editors. 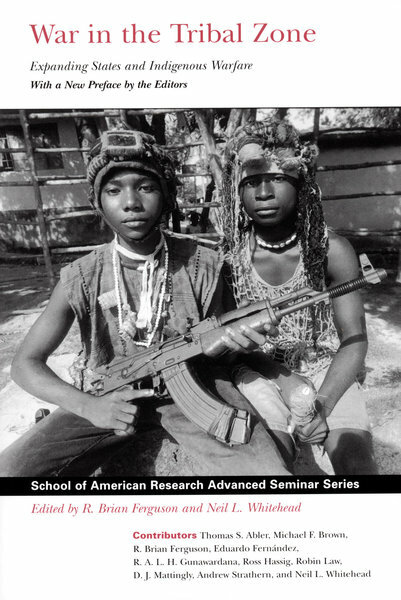 Their timely and insightful essay examines the occurrence of ethnic conflict and violence in the decade since the idea of the ‘tribal zone’ originally was formulated. Finding the book’s analysis tragically prophetic in identifying the key dynamics that have produced the kinds of conflicts recently witnessed globally-as in Bosnia, Kosovo, Rwanda, and Somalia-the editors consider the political origins and cultural meanings of ‘ethnic’ violence in our postcolonial world.